How to manage EAPs at different sites across Internet using EAP/Omada Controller (via VPN Tunnel with EAP Discover Utility)? 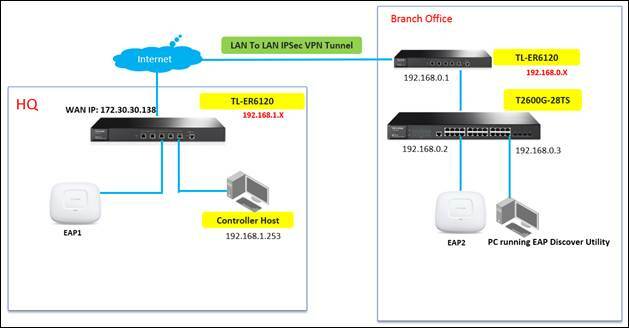 As shown below, HQ and Branch Office are connected with each other through IPsec VPN tunnel. 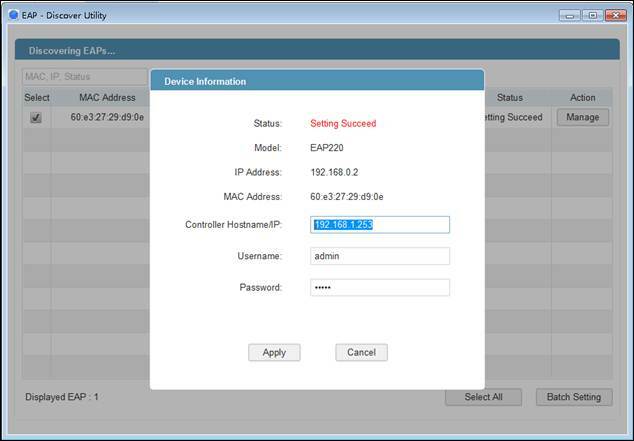 In HQ, there are TP-Link EAP controller, EAP1 and TL-ER6120 (VPN Router) in subnet 192.168.1.0/24. 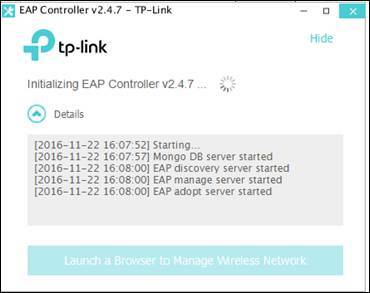 In branch office, there are TP-Link EAP discover utility, EAP2 and TL-ER6120 (VPN router) in subnet 192.168.0.0/24. 1. Go to VPN -> IKE -> IKE Proposal, and complete IKE Proposal settings shown as below. 2. 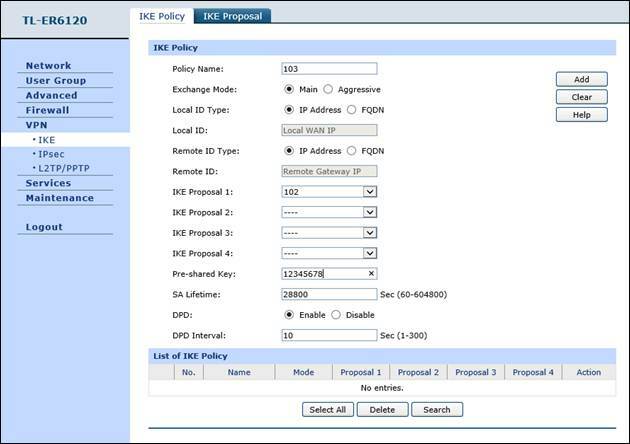 Go to VPN -> IKE -> IKE Policy, and complete IKE Policy settings shown as below. 3. Go to VPN -> IPsec -> IPsec Proposal, and complete IPsec Proposal settings shown as below. 4. 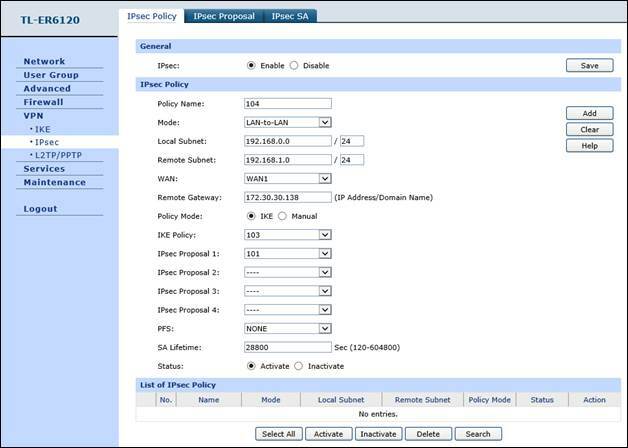 Go to VPN -> IPsec -> IPsec Policy, and complete IPsec Policy settings shown as below. Note: “Remote Gateway” should be the WAN IP address of TL-ER6120 in HQ. Step2. VPN settings on TL-ER6120 in HQ are similar with “Step 1”. Here we don’t describe them in detail any more. After all settings, the VPN tunnel will be established between HQ and Branch Office shown as below. Run EAP discover utility, and fill in EAP/Omada controller’s IP address (192.168.1.253) and the Username/Password of the EAP (admin/admin by default). At last, click “Apply”. Note: After EAP successfully adopted by EAP/Omada Controller, you don’t need EAP Discover Utility any more, thus you can remove the PC which is running the EAP discover utility from the network.